East Earl Township's closest EMS or first responder services are Fivepointville Ambulance based in Denver Pa, New Holland Ambulance based in New Holland PA, and Northern Lanc Co Med Transport based in New Holland PA.
East Earl Township is served by volunteer based fire departments with the majority of the Township being served by Garden Spot Fire Rescue (formerly Blue Ball Fire Co.) and Weaverland Valley Fire Department (formerly Goodville Fire Co. and Terre Hill Fire Co.) We are grateful to the dedicated members who give of their time and energies to serve the people and businesses of this township. Please visit the Garden Spot Fire Rescue website at www.gsfr39.net as well as the Weaverland Valley Fire Department at www.weaverlandvalleyfire.com. Our firefighters and rescue personnel rely on the donations and support of this community to keep them equipped and safe while they seek to serve us. 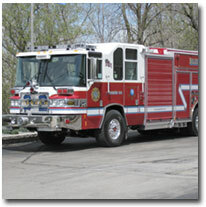 Please support our local volunteer fire companies. 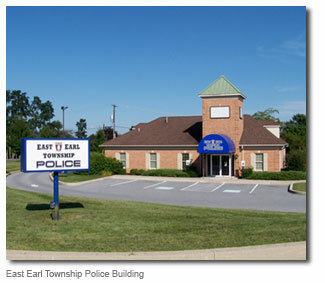 The East Earl Township Police Department provides police protection in East Earl Township. Kevin C. McCarthy, Sr. is Chief of Police. He oversees six full-time officers and one or more part-time officers. The physical location of the Police Department is 128 Toddy Drive - in the Shady Maple complex. PennDOT's service of driver database information aids police in responding quickly to emergency situations. Update your information. The police department investigates traffic accidents as a part of the service rendered to the public. The incidence of fatal and very serious injury accidents has declined since the installation of many safety features found on most cars currently being operated on our roadways. Airbags, which became available on most cars in the early 1980s, are primarily responsible for decreasing serious injury and fatal traffic accidents. These two types of accidents are a challenge to responding emergency service responders if the driver or occupants do not have identification or cannot communicate with the responders. Any situation where a person cannot communicate in a medical emergency poses many obstacles to a successful outcome in the care and treatment of the injured. Notification to the family of a deceased person is the responsibility of the investigating officer and should be accomplished as quickly as possible. On November 9, 2012, the Pennsylvania Department of Transportation launched a new website which was designed to allow Pennsylvania driver's license and identification (ID) holders to list emergency contact information on an online database that is only available to police officers. The contact information is not accessible by the general public, and only certain qualified, trained and approved police officers can access the information with a valid reason for accessing the site. Chief of Police McCarthy urges everyone to assist responding police officers and first responders in dealing with your emergency situation by going to www.dmv.state.pa.us. 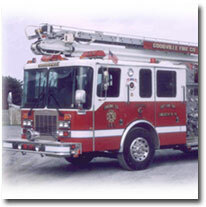 Please click on the Emergency Contact Information button found on the right side of the page under "Driver Services". The entry should take less than five minutes to complete. This is a major enhancement to the service provided to you through PennDOT, and it could save your life! If you are a resident of East Earl township, casting your ballot for Local, State and Federal elections can be done at any of the following locations. Moving into the area? East Earl Township is serviced by the following providers. Click below to visit the service providers website. Eagle Disposal provides a recycle bin at the Township campus for the recycling of the Big 4: corrugated cardboard, glass jars and bottles, metal food & beverage cans and plastic bottles & jugs with necks. Residents are encouraged to use this recycle bin for these items. The Township thanks Eagle Disposal for providing this service at no charge to Township residents. Residents of East Earl Township make their own arrangements with private haulers for trash removal. Obtain a recycle bin from your hauler. Terre Hill Borough has a yard waste recycling facility. It can be used to dispose of yard waste for an annual calendar year permit fee of $30.00. To use this facility, contact the Terre Hill Borough Office at 300 Broad Street, Terre Hill – Phone 445-4581. Disposal of TVs, Computers, etc. A law called the Covered Devices Recycling Act which prohibits disposal of covered devices as trash becomes effective January 24, 2013. Covered devices include desktop computers, laptops, monitors, computer peripherals (keyboard, mouse, printer and speakers), televisions and e-readers. These items must be recycled and can be done so at the Lancaster County Solid Waste Management Authority's Household Hazardous Waste Facility at 1299 Harrisburg Pike in Lancaster. They will accept a maximum of 10 units per visitor per day from Lancaster County residents and businesses. Additional information may be found at www.lcswma.org. Also, see www.Earth911.com for a listing of additional locations that recycle covered devices.